Destiny - online access to the holdings of all the libraries in Sanford. Destiny Quest - graphic interface for Destiny. Shows what students are reading as well the newer additions to the library. To access go to Destiny and select Quest. Marvel - Maine's Virtual Library Provides access to databases with thousands of magazines and newspapers as well as dictionaries and encyclopedias such as Britannica. Available free to everyone in Maine. 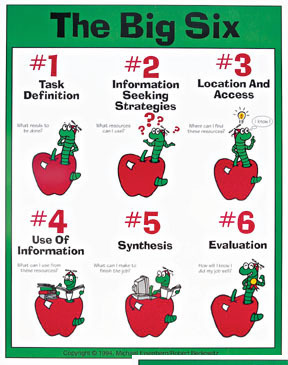 Big 6 - a 6 step model for research that all students in the District use. Using those steps students identify information research goals, seek, use and assemble relevant credible information. 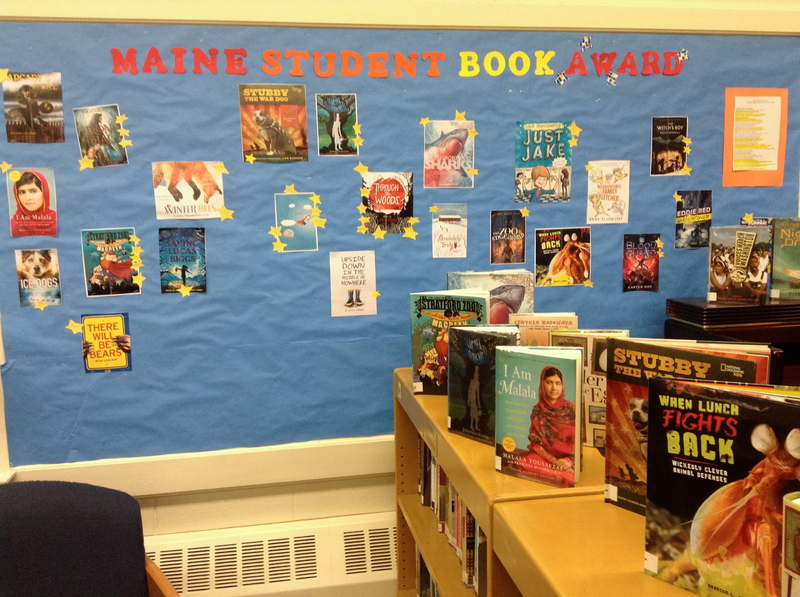 Maine Student Book Award - Every year a list of best books for children and young adults published that year is compiled. Students in schools across Maine read as many books from that list as they can and then vote for the title they think is best. The winner is announced in April. This year's 6th grade students at the Junior High are participating with great enthusiasm. For a list of the books go to Quest and look in Lists.